Product contains milk, wheat, soy. Produced in a facility that also processes egg, milk, peanuts, and pecans. 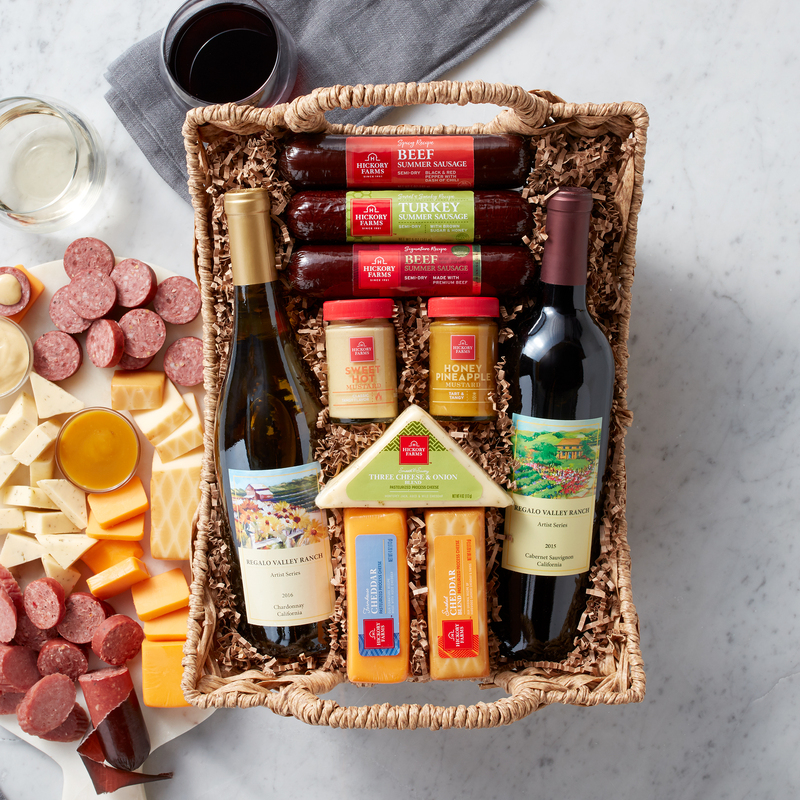 Hearty bites of big flavor is what makes this gift extra delicious. Send this selection of our three classic summer sausages: Signature Beef, Spicy Beef, and Sweet & Smoky Turkey for a variety of flavors. Paired with our creamy Farmhouse Cheddar, Smoked Cheddar Blend, and Three Cheese & Onion Blend cheeses and topped with either Honey Pineapple or Sweet Hot Mustard, they can create endless combinations. Their creations will taste even better with a generous pour of Regalo Valley Ranch Cabernet Sauvignon or Chardonnay.